Sugoi Days: Starbucks Malaysia's Autumn Drinks are in Stores nationwide! Starbucks Malaysia's Autumn Drinks are in Stores nationwide! Did you know coffee beans grow inside of a cherry? In the world of Starbucks coffee craft, the outer husk of the cherry, also known as Cascara, is having a star moment this autumn. Embracing this often-neglected part of a coffee plant, the subtly sweet Cascara is made into a syrup with complex flavors reminiscent of dark brown sugar and maple. Starting 12 September 2018, Cascara Cold Foam Cold Brew will be available for a limited time, bringing together Starbucks 14-hour slow-steeped Cold Brew with Cascara syrup infused cold foam. Also joining the lineup are Caramel Cinnamon Cookie Latte and Duo Cocoa Mocha, these new espresso beverages will rejuvenate your love for coffee as Starbucks crafts new flavors with delectable ingredients like chocolate coated cocoa nibs and lightly spiced cookie crumble. - Starbucks® Caramel Cinnamon Cookie Latte: Celebrate the classic espresso taste served in a more indulgent fashion with the Caramel Cinnamon Cookie Latte. Topped with whipped cream, a sweet caramel sauce drizzle, a hint of cinnamon and crunchy cookie crumbles, the espresso notes are both enhanced and complemented. · Starbucks® Duo Cocoa Mocha: A Starbucks® Signature Espresso paired with dark and white chocolate in the Duo Cocoa Mocha. A reinvention of a fan favorite, premium chocolate coated cocoa nibs and duo cocoa sauce amplify the bitter-sweet chocolatey taste that harmonizes with espresso. · All new Starbucks® Cascara Cold Foam Cold Brew: Embracing all-things coffee, Starbucks introduces the Cascara Cold Foam Cold Brew, a revitalizing cold beverage with delicious yet subtle notes of dark brown sugar and luscious maple extracted from the coffee cherry. 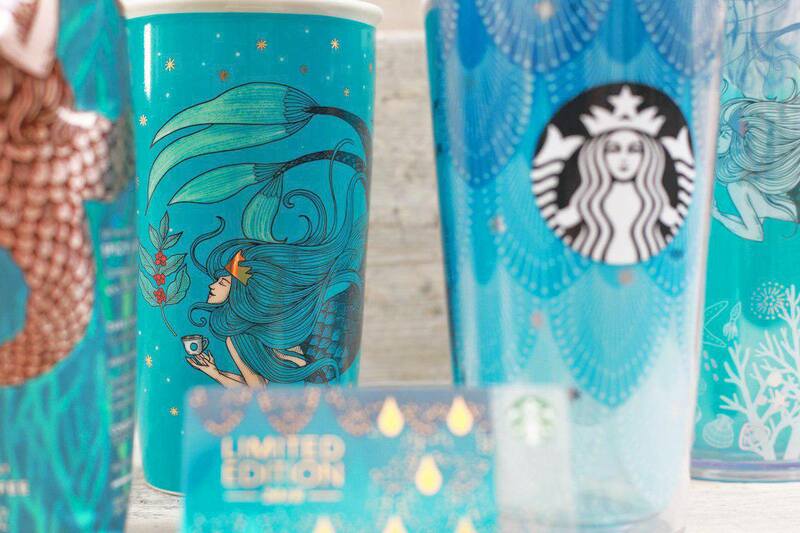 To celebrate another very special occasion this autumn, Starbucks is also launching its Anniversary Merchandise Collection, with the mystical Siren’s celestial beauty highlighted alongside the alluring sea creatures. Don’t miss this year’s anniversary collection! Starbucks is also launching three Autumn Whole Bean Coffee Blends, sumptuous, full-bodied coffee roast to be enjoyed at home or on-the-go this season. For more info, check out Starbucks Malaysia's Facebook.